The term “fertilizer” is undeniably a marketing person’s invention. Looking to the roots of the word, “fertilizer” should be that which actively creates fertility. But once we understand that the true sources of soil fertility are a rich abundance of diverse living organisms, and we realize that what chemicals do to those organisms is searing them out of existence, how can we possibly call any chemical soup a “fertilizer”? Most of our “artificial manures” must be regarded at best as stimulants rather than as foods [for the land], and in no case therefore as substitutes for biologically sound feeding. What then constitutes “biologically sound feeding”? That which will build the soil. 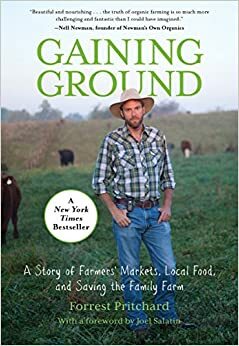 John Jeavons’ organization, Ecology Action, reports that in the U.S. for every pound of food eaten, 6 pounds of soil are lost due to water and wind erosion as the result of industrial agribusiness practices. In developing nations this jumps to 12 pounds of soil lost, and in China, 18. There may be as little as 40 years of farmable soil remaining globally. There is enough evidence to know now that synthetic chemicals are destroying our health and our ability to reproduce and, thus, our ability to survive as a species.Agricultural chemicals have statistically and significantly been implicated in causing all sorts of cancers, behavioral problems, attention-deficit/hyperactivity disorder, autism, Parkinson’s disease, reduced intelligence, infertility, miscarriage, diabetes, infant deformities, and low birth weight …But all this research comes from the few scientists courageous enough to swim against the tide, to resist the easy funding offered by chemical and pharmaceutical companies and the pressure of their peers who rely on that funding. At the 2015 international climate talks in Paris, soil sequestration was the buzzword. Biologically alive, organic soils capture carbon — the global warming kind of carbon — and lock it away. Building healthy, alive soil has become a critical global warming solution. Thus biologically sound feeding and building the soil are critical to humanity’s survival. Those brightly colored bags of “fertilizer” at the garden center – do they do this? Certainly not. At the Community Garden at Holy Nativity, we have begun to question whether we need any of that purchased “fertilizer” at all. Given that we are moving into leaner times, when petroleum to create synthetic chemicals and to haul soil additives is becoming more precious, and when dollars to spend on “fertilizers” of any type are often scarce, growing our own seems quite practical. Given the chemical stew we’re living in, active live composting seems to be a far wiser practice. Given the needs of our soil critters, and our need for them to be healthy and happy to make our planetary life-support system work, the answers become obvious. Dictionary.com defines fertility as the ability to produce offspring; power of reproduction. Thus true fertilizer should be that which boosts the soil organisms’ ability to thrive and multiply. We can support healthy soil life by providing food (organic matter and compost), water, air (not compacting the soil), and shelter and protection (mulch). We can boost our soil life populations by bringing in live compost, full of eggs and spores. Building the soil means using practices which fold more and more organic matter (chem-free things-that-used-to-be-plants) into the soil to feed our soil organisms. It means using rich, aged manures from animals of all kinds. It may include adding some “seed stock” of the soil organisms themselves – mycorrhizae, bacteria, fungi – particularly where these are known to be lacking. Worm castings from a worm bin are an excellent fertility booster. Worm castings are akin to a “balanced nutrient fertilizer” in that they do not emphasize one nutrient over another. More about worm composting (here). The Legume family (peas and beans) have the ability to capture nitrogen from the air – fertilizing the soil even as they are producing an edible crop. There is some debate as to how to optimize the nitrogen-fixing. Some people say that all the action is in the root nodules, so to simply leave the roots intact and compost the tops of the plants is the ultimate way to go. Other people declare that you must turn the green plants into the soil (heel them over and bury them), prior to their setting pods, in order to gain the most benefit. I have not heard of a clear answer to this issue. I have a feeling that we will eventually discover that whether to turn them in or chop them off are merely shades of gray on the “good” end of the scale, where “bad” is not growing legumes at all. The important thing is to make it your practice to grow legumes in every season. When you’re establishing a new garden space (Lowenfels and Lewis say for the first two years) use inoculant as you plant your legume seeds. This dusty black powder is the necessary beneficial bacteria which legumes need to do their nitrogen-fixing job. Use of inoculants will help build your soil and will also boost your yields. 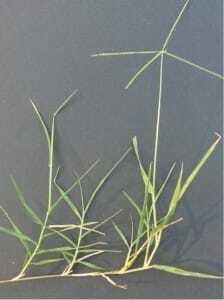 Different types of legumes work best with different inoculants (i.e. different bacterial species) – for example clover inoculant is different from bean inoculant. At the Community Garden at Holy Nativity, we buy our inoculants from Bountiful Gardens because they sell the various inoculant species separately, and you can buy the one you need. Foliar sprays are a homemade fertility booster. To make a foliar spray, you make a “tea” from compost, manure, or specific plants or herbs, steep it for a significant length of time. You then strain it, and spray it onto your garden – onto leaves, soil, and all. Although I have not personally used foliar sprays, some people swear by them. Bountiful Gardens offers a publication exclusively about them. Lowenfels and Lewis, however, caution against steeping because people worry that its anaerobic decomposition has a chance of producing harmful E. coli. Lowenfels and Lewis recommend Actively Aerated Compost Tea which uses a repurposed aquarium pump and airstone to infuse bubbles during the steeping time. They say that the aerating process cultivates a broader spectrum of microorganisms. Look to their book for instuctions because they devote an entire chapter to the details of the process.